We have brought the glorious sounds of bell music to more people and places than anyone else in the world. Our products all share a common theme: they create an emotional connection between their sound and the human heart. 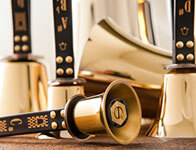 Offering up to seven octaves of the highest quality bronze handbells (85-bells, C2-C9) with accessories to meet all of your needs. As America’s oldest handbell manufacturer we've produced well over a million handbells for thousands of institutions world-wide. 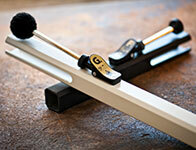 We offer five octaves (61-notes, C3-C8) of innovation in handchimes and hand-held chimes. 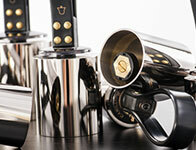 Our instruments are designed to set new standards for appearance, sound and durability. The Silver Melody Bell™ product line can be used to add a distinctive tonal dimension to your musical presentation and can provide a distinctive, bright, and robust bell timbre. 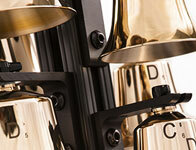 While many instruments are defined by their limitations, the Bell Matrix™ System is defined by its versatility and employs the four faces of its vertical frame to display your bell and chime instruments.